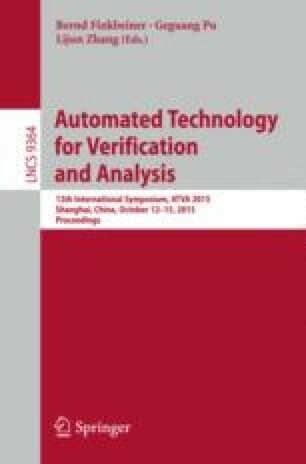 Simulation-based verification algorithms can provide formal safety guarantees for nonlinear and hybrid systems. The previous algorithms rely on user provided model annotations called discrepancy function, which are crucial for computing reachtubes from simulations. In this paper, we eliminate this requirement by presenting an algorithm for computing piecewise exponential discrepancy functions. The algorithm relies on computing local convergence or divergence rates of trajectories along a simulation using a coarse over-approximation of the reach set and bounding the maximal eigenvalue of the Jacobian over this over-approximation. The resulting discrepancy function preserves the soundness and the relative completeness of the verification algorithm. We also provide a coordinate transformation method to improve the local estimates for the convergence or divergence rates in practical examples. We extend the method to get the input-to-state discrepancy of nonlinear dynamical systems which can be used for compositional analysis. Our experiments show that the approach is effective in terms of running time for several benchmark problems, scales reasonably to larger dimensional systems, and compares favorably with respect to available tools for nonlinear models. The results presented here came about from work supported and funded by the National Science Foundation (NSF CSR 1016791) and the Air Force Office of Scientific Research (AFOSR YIP FA9550-12-1-0336).